Add a splash of style to your stationery with the S.S. Discover notepad. 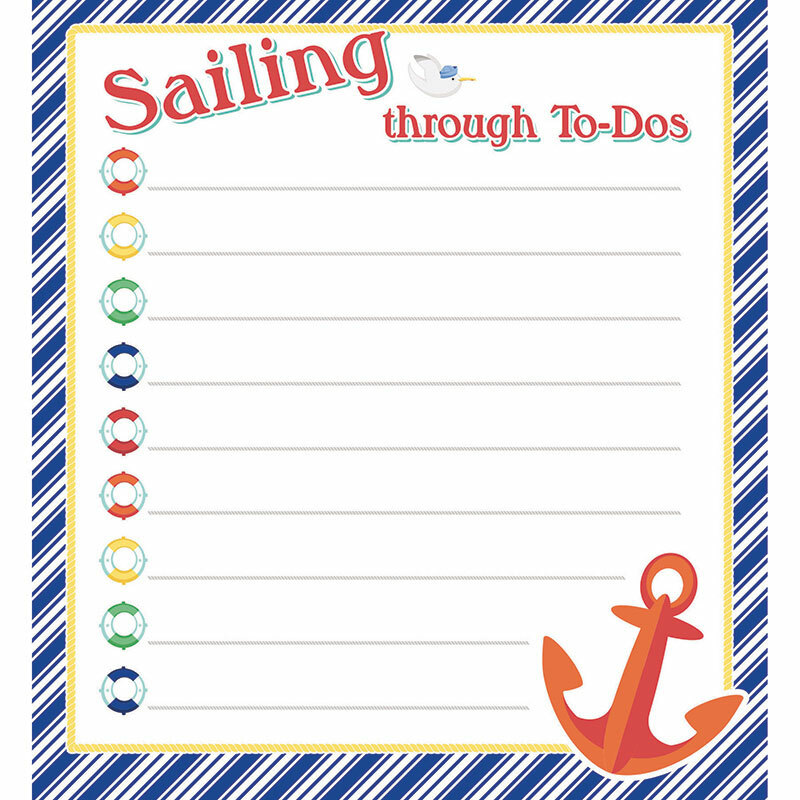 This 50-sheet lined notepad is titled "Sailing Through To-Dos" and is accented with colorful life preservers and a bold anchor. Teachers can never have enough notepads, and our stationery selection is second to none. With a variety of colors, themes, shapes, and designs, our acid-free and lignin-free notepads provide fun ways to write notes, play games, and create to-do lists. Make sure to view our other S.S. Discover products to create a cohesive marine classroom theme.